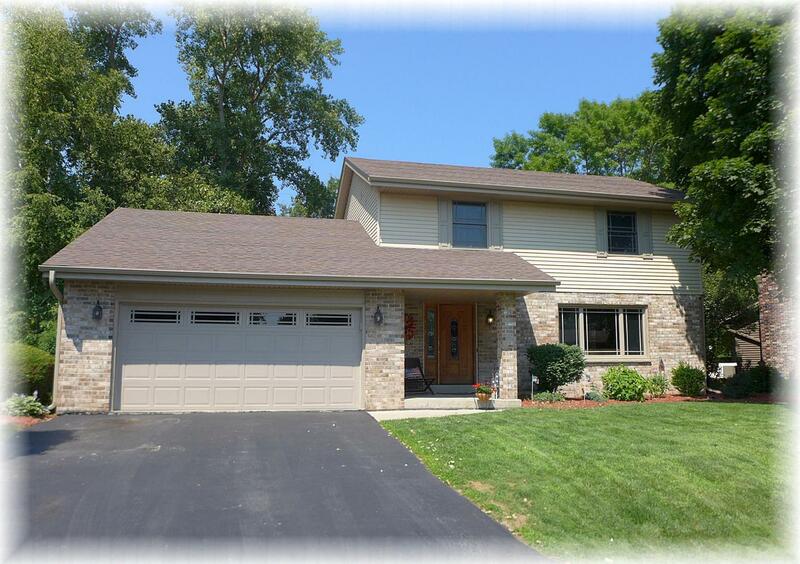 Quality constructied and beautifully updated two story on a gorgeous fenced lot in Caledonia. Recent improvements include hardwood floors, new bathrooms with Kohler sinks, tub, toilets and fixtures; new (2017) Anderson windows and patio door, newer furnace and central air, newer water heater, and new front door. Roof is 3 years old. Excellent floor plan includes formal living room and spacious dining room with new hardwood floors, a fully applianced kitchen with 2 pantries open to family room with masonry fireplace. Gorgeous woodwork throughout. Patio doors open to deck and fenced back yard with mature trees. Located on a quiet street close to Lake Michigan. Built by Signorin. Move in condition!